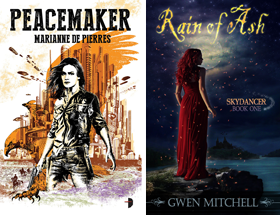 The Angry Robot folks and their new SF&F imprint have been very busy of late. Some more news in today's press release about author Dan Abnett. The fantasy novel Triumph in particular sounds pretty interesting. Angry Robot is HarperCollins’ upcoming imprint devoted to all that’s new in genre fiction – SF, F and WTF?! Today, we are delighted to announce we’ve signed noted SF & Fantasy author DAN ABNETT for three original novels, for a substantial five-figure advance. Dan Abnett made his name in the tie-in SF and Fantasy fiction field, selling more than 1.2 million copies in English language of his Warhammer 40,000 novels. They’ve also been translated into ten other languages. He’s also recently made the UK fiction charts with original Torchwood and Doctor Who novels. His comic book scripts, for major publishers such as Marvel, DC Comics and the UK’s 2000 AD, have attracted critical plaudits and strong sales on both sides of the Atlantic. The three novels for Angry Robot will allow Abnett to play to all his strengths as a writer. His penchant for wildly imaginative world-building and lovable characters comes to the fore in TRIUMPH, a ribald historical fantasy set in a warped version of our present day … only with Elizabeth the First on the throne. This will be published by Angry Robot, in both the UK and US, in October 2009. Next year will see two novels in a stunning new future-war setting. EMBEDDED sends a journalist into the frontline of a distant planetary war… chipped inside the head of a combat veteran. When the soldier is killed, the journo must use all his resourcefulness to get safely home again, reporting on a live feed all the way. No one writes future war as well as Dan Abnett, and fans of tie-in series such as “Gaunt’s Ghosts” and his “Horus Heresy” novels will be blown away by this bold new move into original science fiction. Dan Abnett’s bonkers website and popular blog can be found at www.danabnett.com. 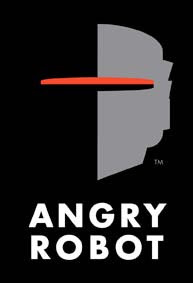 More information on Angry Robot can be found at www.angryrobotbooks.com.